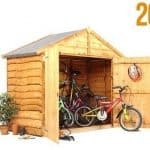 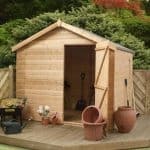 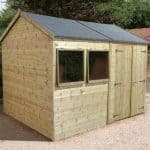 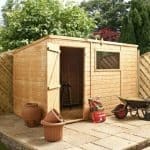 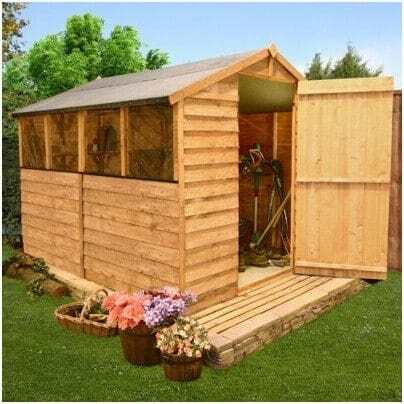 This good looking garden shed is outstanding value and comes complete with windows giving great light inside so you can work without straining your eyes! 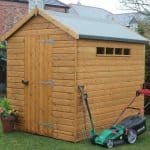 A very large door enables you to easily transport garden equipment inside and out and there is ample room for storage inside. 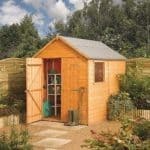 Constructed from hard wearing and long lasting wood with overlap cladding this shed will last for many years.